A fire destroyed our materials, but community got us back on our feet. Now we're on the move, and you can help us grow even stronger. A fire destroyed our materials, but community got us back on our feet. Now we're on the move, and you can help us grow even stronger. Reaching our stretch goal of $10,000 will greatly aid our efforts for 2017. 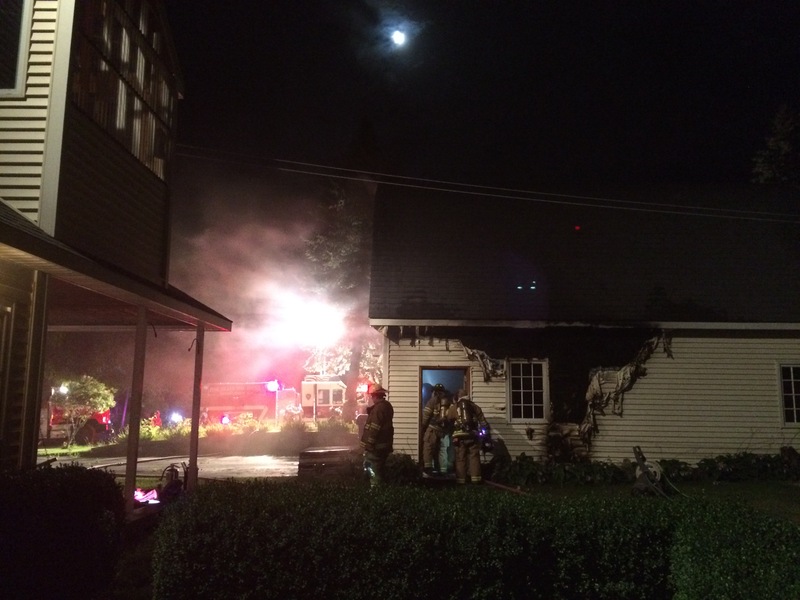 Last month, the Jolly Rovers Trail Crew was alerted to a fire in the facility where the organization stores its equipment (a private residence of a crew member). When three engines from three different towns arrived on scene, the fire had already engulfed the right side of the building and was spreading across the roof. The cause remains unknown, and while the fire was eventually extinguished, the event has caused great loss to the team. Since then, we have been able to raise the funds necessary to keep us afloat for this year, but with momentum going strong, we are looking to continue raising funds for next year as well. The Jolly Rovers are volunteer trail builders who transform battered trails with works of art using ancient stone masonry techniques and onsite materials. Manned exclusively by committed volunteers, the crew currently transforms over 15 trails each year, donating over 7,000 volunteer hours and contributing over $170,000 worth of improvements to parks throughout the United States. These projects, although important to our crew and the community, have unfortunately incurred delays and cancellations due to the fire, and has slowed our organization's ability to create gorgeous, accessible trails as well as raise funds related to the completion of those projects. 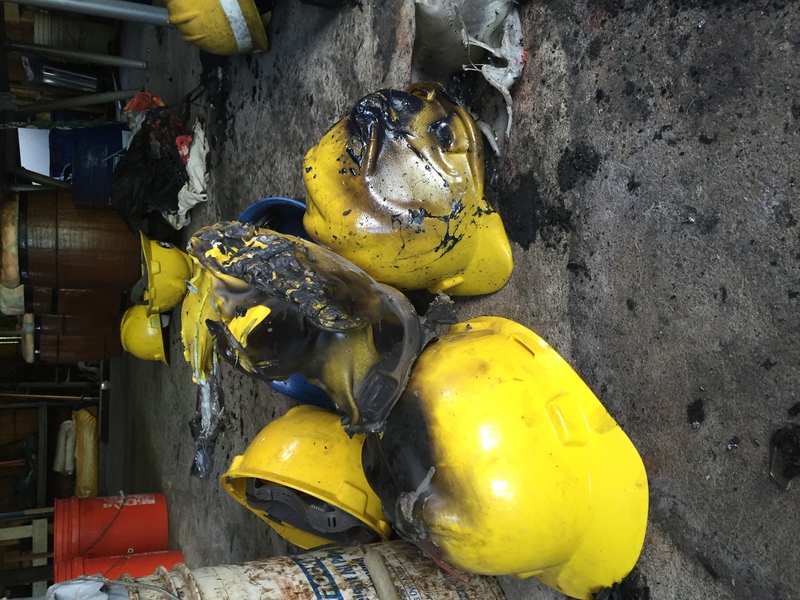 Hardhats were melted, shattered glass was embedded in the fibers of ropes, and smoke and water damaged mattock and sledge handles. 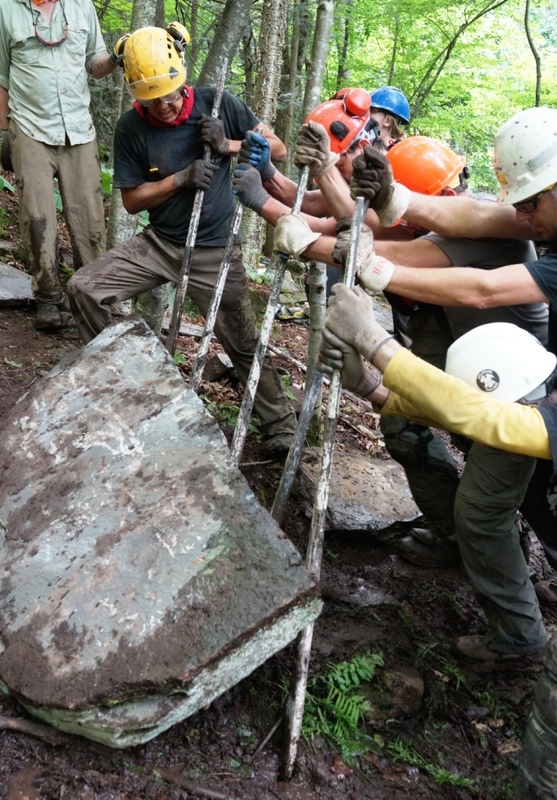 It was truly a disaster for the team, who has committed to 10 more large scale projects on trails this year, requiring over 5,000 hours of volunteer time to complete. After days of clean up, we now understand that the loss is enough to cripple our efforts for the rest of the year without intervention. These simple tools are the backbone of our work. Insurance will eventually cover the cost of the lost equipment; even so, it will take months to replace. More importantly, due to fire recovery efforts, trail projects have had to be cancelled causing a significant loss in anticipated contributions that insurance will definitely not be able to compensate for. While our work is done by volunteers, we depend on contributions through these projects to cover our costs throughout the year. Such contributions are what allow the Jolly Rovers to cover their overhead for tool repairs, insurance and the ongoing education of it's volunteers. We need your help to ensure that we are back out on the trails, working efficiently and safely, as soon as possible. Please stand with us in our mission to improve access to trails through masonry and stonework. We look forward to being back to work in our fullest capacity soon. The Jolly Rovers are volunteer trail builders, from all walks of life, specializing in traditional stonework. Without the use of mortar, heavy machinery or imported materials, our volunteers transform damaged paths in public parklands into works of art, using nothing but native materials found onsite and construction techniques that date back to antiquity. Our growing family of volunteers contributes over 5,000 hours annually, restoring trails to usability.